Sometimes, you'll want to upload a file to your WordPress site that's too large for either WordPress or your hosting environment to handle. 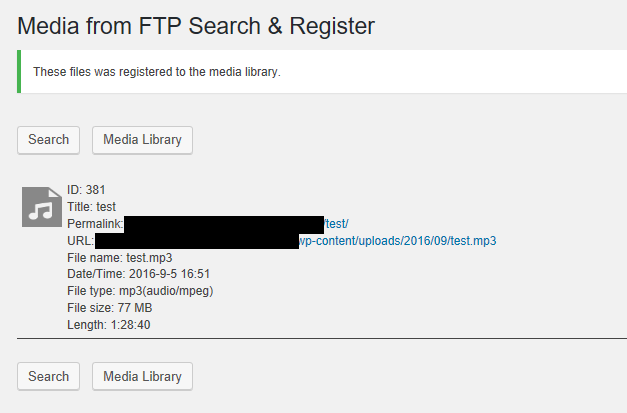 This tutorial will show you how to upload a file through FTP (Cyberduck in this walk-through), and then add the file to your WordPress media library for use anywhere on your site. You can download Cyberduck here. Open Cyberduck and connect to your server. Depending on the settings for your account, the folder you see upon connecting to the server may vary. Ask your site administrator if you’re not sure how to get to the folder you want. Since we’ll be uploading media in this tutorial, we want to be in the folder for the current month and year. 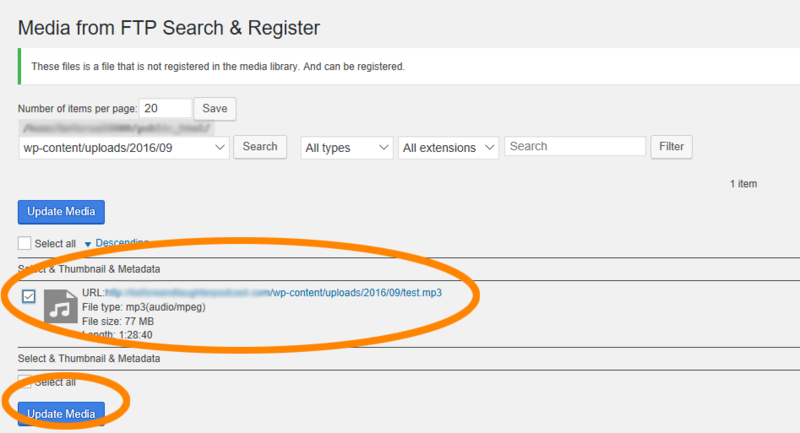 For most WordPress environments, this is wp-content/uploads//. At the time of this writing, September of 2016, the folder we’ll be uploading to is wp-content/uploads/2016/09. (Note that if no media has been uploaded in the current month or year, you may have to create these folders). 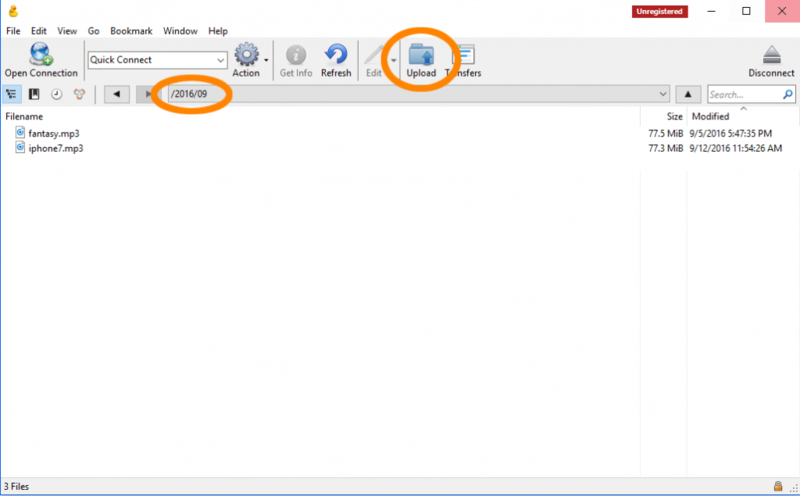 To make sure you’re uploading to the correct folder, check the address bar (circled). If you are, hit the Upload button. 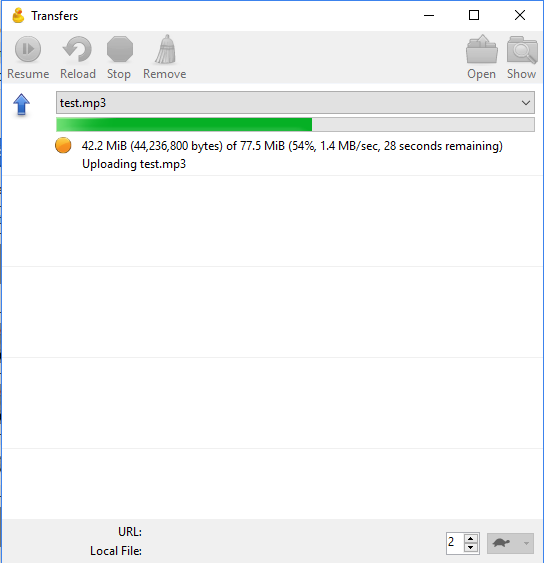 Find the file you’d like to upload. 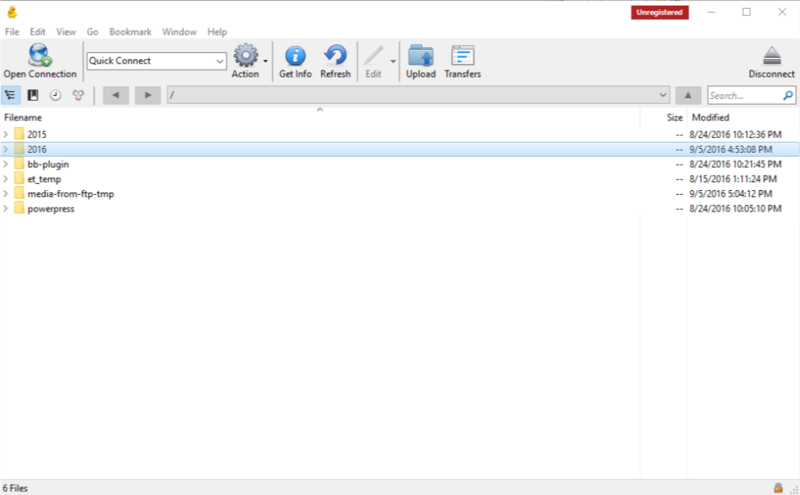 Once submitted, this is what it’ll look like while the file uploading to your server. If all goes well, this is what you’ll see. You can now add this file from the Media Library on any page, post or anywhere else on your site as you normally would.